FinnProfiles has invested in a new digital cutting system. The high-precision system cuts all commonly used sealing materials, including rubber and silicon. The versatility and high precision of the system are based on its oscillating cutting method. 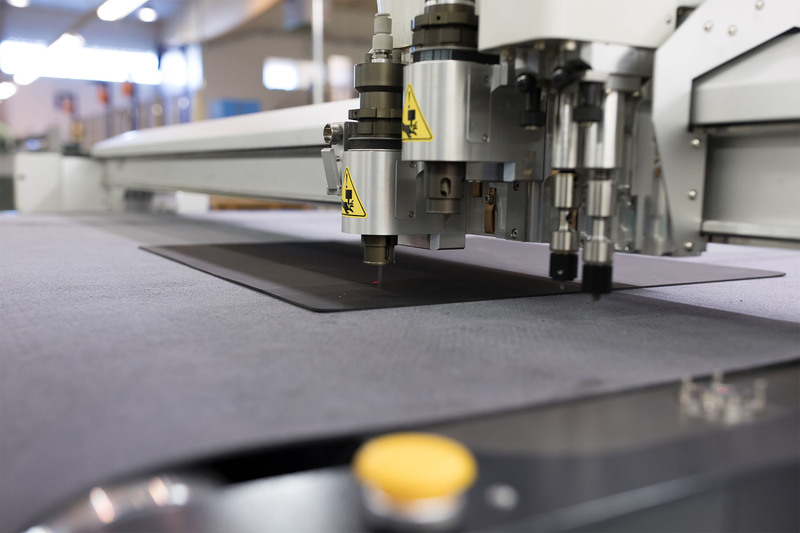 Previously, the technique we used in manufacturing all flat seal products was die-cutting, which always requires a specific pre-built tool. Before the investment, it used to take up to two weeks to get the shearing tool alone. Only then was it possible to start producing the first prototype. According to Välilä, as long as the drawings are sent in .dfx format, FinnProfiles can now mail the sample to its customer on the day when the order is placed. The maximum cutting thickness of the new cutting system is 40 millimetres, which is more than enough for most flange seals and sheet gaskets. 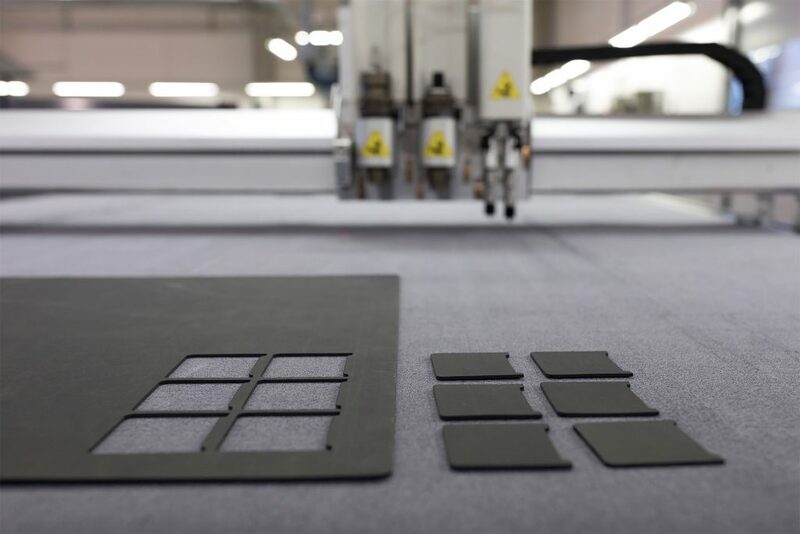 “On the other hand, if we’re talking about a sealing or insulating solution ending up in machines used in the electrical or energy industries, it won’t become wet in the cutting process,” adds Välilä. Furthermore, whereas water will cut through everything, the new system can cut sealing materials with an adhesive surface so that the film protecting the surface will remain untouched. FinnProfiles has a wide range of sealing and insulating materials waiting to be cut precisely according to the customer’s drawings. The new cutting system has been installed in the Sastamala factory.